Description From Harold Kruse's album; very faded; indentations. 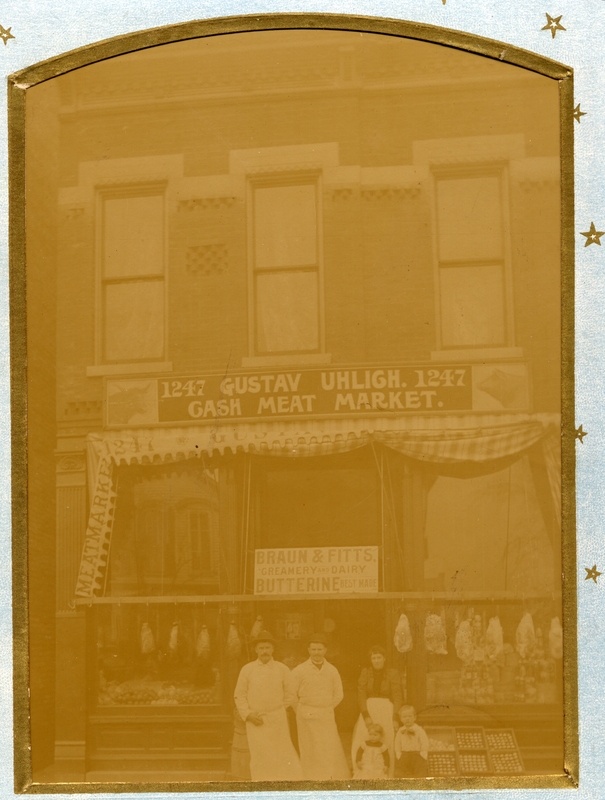 Sign in photo: 1247 Gustav Uhligh Cash Meat Market; Braun & Fitts; Creamery and Dairy. Butterine best made. Physical Description H 6.5"" x L 4.5""